A former NASA trainer and communicator has been appointed to Dundee Science Centre. 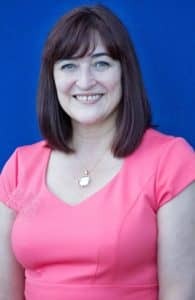 Originally from California, University of Dundee graduate Deidra Baker (55) has taken up the role of Fundraising and Projects Manager. Prior to her Science Centre appointment, Deidra was Development Manager at the University of Dundee where she graduated with a Postgraduate Diploma in Contemporary European Politics and Policies in 2006. Deirdra has also worked at both the Universities of Dundee and St Andrews as a Major Gifts Officer, working on diverse projects such as the new Medical School at Ninewells Hospital, and the renovation of the St Andrews Observatory. Prior to arriving in Dundee 13 years ago, Deidra worked with NASA for 15 years in communications and astronaut training, including three years in Russia supporting Phase 1 of the International Space Station, specifically preparing onboard video and digital training products for astronauts. At Dundee Science Centre, Deidra’s top priority is to achieve funding interest for the Centre’s £1.7M Capital Project, which will add a new floor of medical research exhibits, and improvements to the Science Learning Institute, helping science communicators engage more effectively with the general public. Deidra will also be responsible for raising funding for the ongoing rota of projects and public events – including, of huge interest to Deidra, a space exhibition planned for October – as well as introducing new partners and supporters.